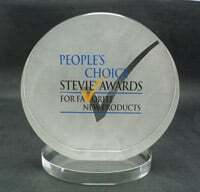 The new product awards categories are among the most popular in all Stevie® Awards competitions. 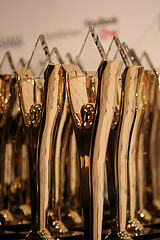 Those in The American Business Awards are especially competitive, at least partially because the ABAs feature the People's Choice Stevie Awards for Favorite New Products, a worldwide public vote that gives nominees an opportunity to win a second award, as chosen by the general public, in addition to the Gold, Silver and Bronze Stevie Awards conferred by the scores of one's peers. Educational products are services are ready to join the spotlight in The 13th Annual American Business Awards, which is currently accepting entries. (The final entry deadline is April 22.) The Stevie Awards have added a suite of new product categories this year just to recognize the products and services that help teachers and educational administrators excel at their jobs. These new categories recognize applications, products and services from developers of educational software, digital content, online learning services, and related technologies across the K-20 sector. The 2015 ABAs will recognize educational products and services that were introduced to the marketplace since January 1, 2014. Nominated products and services may be brand new or new versions of existing products. a. An essay of up to 650 words describing the product or service: it's features, functions, benefits, and results to date. b. In bullet-list form, a brief summary (up to 150 words) of up to 10 of the nominated product's chief features and benefits. Here, then, are the new categories for educational products and services. "We're really pleased to be able to recognize products and services that serve the needs of educators in this year's American Business Awards," said Stevie Awards president Michael Gallagher. "We've already received quite a good number of excellent entries in these categories, and we're looking forward to the judges decisions." Entries will be judged by educators and educational technology experts, and the finalists will be announced in early May. Awards in the ABAs' new product awards categories will be presented in San Francisco on September 11. Attendance is not required to win. Have you built a better mousetrap to help teachers capture the hearts of minds of students? Nominate your work in The 2015 American Business Awards. The focus of this category spotlight is on the many opportunities that developers and marketers of new products and services have to pursue recognition for their work in this year's Stevie Awards programs, in The American Business Awards, The International Business Awards, and the Asia-Pacific Stevie Awards in particular. 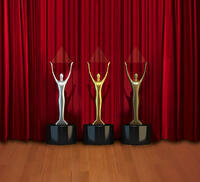 Every one of the Stevie Awards competitions has some number of categories to recognize new products and services. Each year the Stevie Awards receive thousands of new product nominations. Let's begin here with the Asia-Pacific Stevie Awards, which are in their second year. These awards are open to all organizations operating in the 22 nations of the Asia-Pacific region. The final entry deadline for this competition this year is March 11. Gold, Silver and Bronze Stevie winners will be announced on April 1, and the winners celebrated during a gala event in Shanghai, China on May 15. Nominated products and services in the Asia-Pacific awards may be completely new or new versions of pre-existing offerings. The 2015 awards will recognize new products, or new versions of products, issued since July 1 2013, the beginning of the eligibility period. This year's competition features 51 new product awards categories, alphabetically from Business-to-Business Products to Transportation products and services. Thirty of those 51 categories are for software products of various types. What do you need to prepare to enter the new product categories in the Asia-Pacific Stevie Awards? Just an essay of up to 625 words, describing the nominated product or service, including its features, functions, benefits, and market performance to date. The essay may be in any of seven languages, including Chinese, English, Indonesian, Japanese, Korean, Malay and Thai. You can complement the essay with up to five (5) links to online news stories, reviews, or other web-based files, and you may upload up to five (5) files to our server for the judges, which may include product manuals, photographs, videos, and the like. The International Business Awards have grown to be recognized as the world's top honors for achievement in the workplace. All organizations worldwide may participate, and last year's IBAs attracted more than 3,300 from organizations in over 50 nations. Hundreds of those nominations were of new products and services. The 2015 competition has three entry deadlines. Winners will be announced in August, and the winners celebrated during an event in Toronto, Canada in October. See the full IBA calendar here. Nominated products and services in the IBAs may be completely new or new versions of pre-existing offerings. The 2015 awards will recognize new or new-version products issued since January 1, 2014. Like the Asia-Pacific Stevie Awards, the IBAs also feature 51 new product awards categories. However, the IBAs also offer the opportunity seek recognition for your entire product development team, in a category called Product Development/Management Department or Team of the Year, as well as for your team's fearless leader, in a category named Product Development/Management Executive of the Year. Entries to these IBA categories require the submission of an essay of up to 650 words, describing the nominated product or service, including its features, functions, benefits, and market performance to date. Beginning this year, all entries to the IBAs must be submitted in English. With the essay you have the option to upload to our server any number of supporting materials that will help to tell your story to the judges. These might include product reviews, customer testimonials, product demonstration videos and photos, and work samples, for example. The American Business Awards are recognized as the top business awards program in the U.S.A. All organizations operating in the U.S.A. may submit entries. Two early-bird entry deadlines for the 2015 ABAs have come and gone, and two deadlines remain: March 25, and a late deadline of April 22. Finalists will be announced May 6, and the awards presented during two ceremonies: June 22 in Chicago, and September 11 in San Francisco. The new product awards will be presented at the September 11 event. Nominated products and services in the ABAs may be completely new or new versions of pre-existing offerings. The 2015 awards will recognize new or new-version products issued since January 1, 2014. The ABAs have more new product and service categories than any other Stevie Awards competition, and the menu has grown even more diverse in 2015. 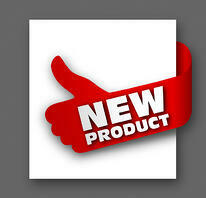 See the full list of ABA new product categories. There are 28 categories for software products of various types, 20 categories for a variety of other product types, and two completely new category groups: 24 categories for Content-related products and services, such as Content Marketing Solutions, Mobile Publishing Technology, and Service Using Aggregated Content; and 26 categories for Education-related offerings, including Classroom Management Solution, K-12 Enterprise Solution, and Solution for Special Needs Students, among others. Entries to these ABA categories require the submission of an essay of up to 650 words, describing the nominated product or service, including its features, functions, benefits, and market performance to date. Entries must be submitted in English. With the essay you have the option to upload to our server any number of supporting materials that will help to tell your story to the judges. These might include product reviews, customer testimonials, product demonstration videos and photos, and work samples, for example. Nominating your product or service in The American Business Awards, if you're eligible to do that, has an important added benefit: Every new product or service nominated in the ABAs will automatically be included in voting for the People's Choice Stevie Awards for Favorite New Products. Voting will be conducted by the general public in July-August, and the winners will be honored at the ABA's new product & tech awards ceremony in San Francisco in September. So nominees in these categories have the opportunity to win two Stevie Awards: one as adjudged by your peers, and the other as voted by your customers, employees, fans and followers. 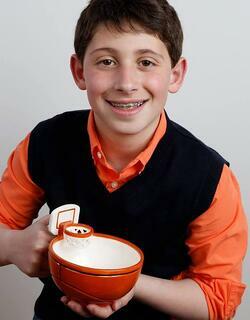 Building the next great mousetrap isn't necessarily it's own reward. Professional and public acclaim can be useful tools for building your brand, accruing valuable third-party recognition, and stoking esprit de corps among your team. Winning a Stevie Award for your new product or service in 2015 can help you to achieve these goals. Edwards Group Limited in Crawley, United Kingdom won the Gold Stevie® Award for Best New Industrial Product or Service in the new product awards categories of last year’s International Business Awards , the world's top business honors. (This year's IBA winners will be announced on August 14.) Here we look at how this global technology company affects all of us in one way or another. Edwards Group Limited (NASDAQ: EVAC), the UK-based manufacturer of sophisticated vacuum products and abatement systems and a provider of related value-added services, beat off stiff competition from across the globe when its class-leading CXS dry vacuum pump was named a Best New Product in The 2012 International Business Awards. Not many people realize how important it is to be able to create a vacuum and how this affects our lives and so many of the appliances we use daily. To find out more, watch a short video created by Edwards. Edwards CXS is the latest generation dry vacuum pump for harsh chemical and pharmaceutical processing applications, and builds on Edwards’ strong record of innovation and application expertise. Since its introduction in 2011, it has set new industry standards for reliability, performance, and control. 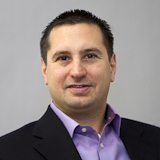 Sia Abbaszadeh has served as Edwards’ Chief Technology & Marketing Officer since June 2010. Sia joined Edwards in November 1989 to lead new product development programs in semiconductor vacuum pumping. He has subsequently built a broad base of New Product Introduction capability for all the product and application sectors within Edwards. 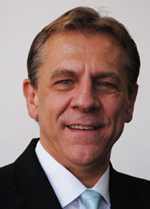 His responsibilities have included delivery of strategic growth plans by leading new product and technology development for the Semiconductor, Flat Panel Displays, and Emerging Technologies sectors. Recent responsibilities have included leading the Edwards’ Solar business growth program and doubling Edwards’ footprint within the sector. Sia holds a Post Graduate Diploma in Non-Destructive Testing from Brunel University in London and a Masters of Science degree in Project Management from Brighton University. Edwards is a leading developer and manufacturer of sophisticated vacuum products, abatement systems, and related value-added services. These are integral to manufacturing processes for semiconductors, flat panel displays, LEDs and solar cells; are used within an increasingly diverse range of industrial processes including power, glass and other coating applications, steel and other metallurgy, pharmaceutical, and chemical; and for both scientific instruments and a wide range of R&D applications. Edwards has over 3,200 full-time employees and 500 temporary workers operating in approximately 30 countries worldwide engaged in the design, manufacture, and support of high technology vacuum and exhaust management equipment. Edwards’ American Depositary Shares trade on The NASDAQ Global Select Market under the symbol EVAC. Further information about Edwards can be found at www.edwardsvacuum.com. These bring the total number of new product and service awards categories in the Stevie Awards for Sales & Customer Service to 16. New and new-version solutions for sales, contact center, and customer service operations that were introduced to the marketplace after July 2010 are eligible to be nominated. Any number of supporting materials, including demonstration videos, news articles, product reviews, and so on. All new product awards Finalists will be notified on January 25. In celebration of the 10th anniversary of the start of the Stevie Awards movement, all Finalists will now be recognized as Gold, Silver or Bronze Stevie Award winners. 2012 winners will be announced on February 27th at our 6th annual sales and customer service awards banquet at Caesar's Palace in Las Vegas. Not sure which new product or service award you should apply for? Call us at + 1 703-547-8389 or email us at help@stevieawards.com!